One woman's quest for love?! If you follow me on social media. You know that I'm a huge fan of the shows like Bachelorette. Honestly, who wouldn't want to be in the room with a variety of men who all want to wow you?! How cool is that!! I guess you could say that I'm a hopeless romantic. 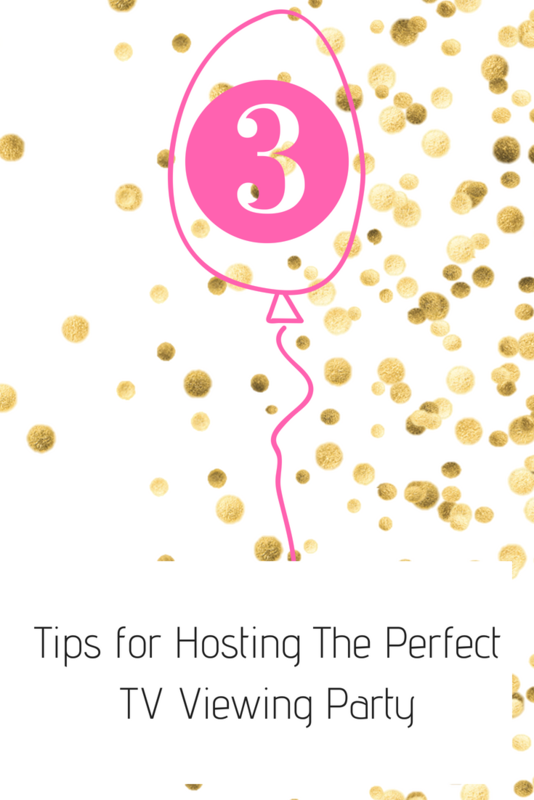 Today I'm sharing a couple of tips on how to host The Perfect TV Viewing Party to watch and/or binge watch your favorite TV shows. 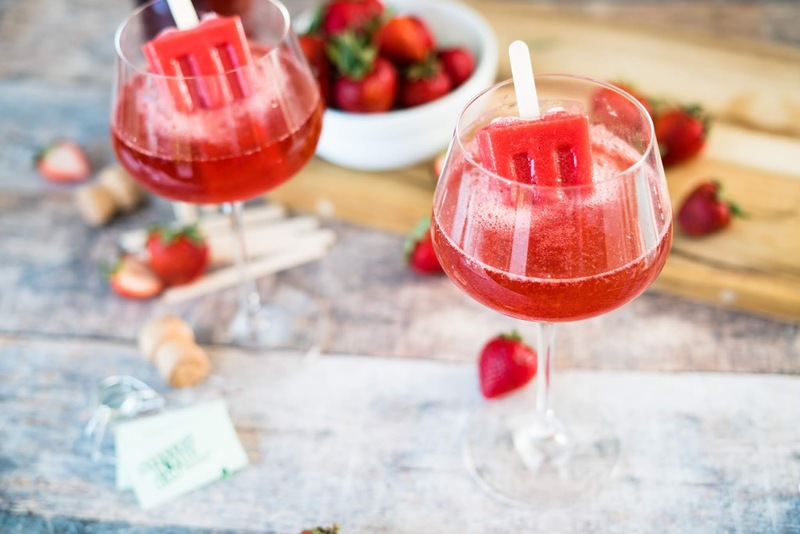 Plus, a yummy Strawberry Rosé Popsicle Punch recipe. I'm a huge fan of sending invites. It feels as if we hardly get items in the mail anymore. Plus, it's nice to receive something besides a bill. I love the idea of sending cheeky theme invitation. For instance, If I were hosting The Bachelorette themed viewing party. I would send wedding invitations or even something that's simpler to wedding/engagement/ bridal shower type of theme. For one, it makes for a great conversation starter and I'm sure your friends will think it's hilarious. I like keeping a running list of what my friends like. This is also a great time to decide if you're going to have this watch party potluck style. Remember that great food makes people happy. Don't be shy about sending everyone the menu. Plus, it's nice to know from a guest standpoint what you're having in advance. I'm all for having this watch party outside on the projector. It's nice to binge watch a couple of episodes prior to the new episode coming on. Also, always have a plan “B” for inclement weather if you do decide to have the watch party outside. 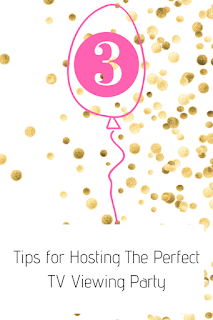 You won't have to stress last on where you're going to host the party. Do you have any TV Viewing Party Tips? In a blender combine strawberries, Stevia In The Raw®, and lemon juice and blend until smooth. Divide between popsicle molds in a standard 10-popsicle mold. You should be able to fill 5 of the molds. Place cover on mold and insert popsicle sticks. Freeze until solid, at least 8 hours or overnight. To remove popsicles from mold, dip mold all the way to the brim in cool water just long enough to loosen popsicles. Place popsicles on a baking sheet and return to freezer until ready to use. To save popsicles longer than 1 day, place in a resealable plastic freezer bag or container and keep frozen. 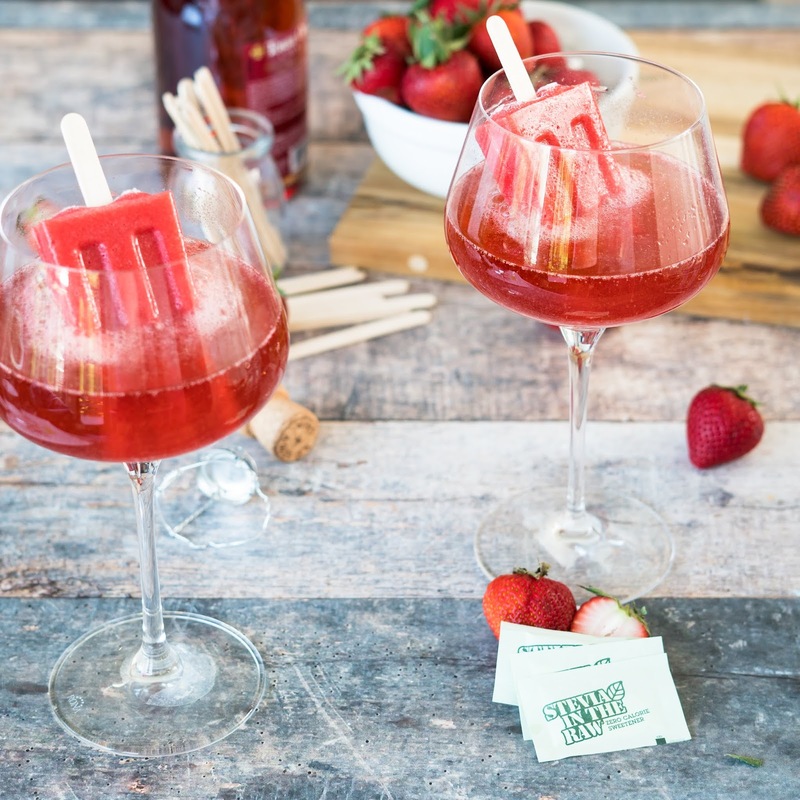 To serve, place 1 popsicle stick-up in a large wine glass, and pour rosé wine over popsicle. Serve immediately. I didn't know that information about stevia. Learn something new everyday. Planning and giving showers is always fun and the food and drink is always important. That punch sounds out of this world!! I am totally making it the next time I host a girls night in! Those drinks look AMAZING! I have seen where you put the popsicle in it, it's such a genius idea! I bet it was delicious! Ok now this punch sounds absolutely delicious - I have to admit I've never tried anything quite like it before. I'm not a Bachelor or Bachelorette fan, but I am a fan of this punch! I'd love to drink this while hanging out by the pool. I'm not a Bachelorette fan but these cocktails look amazing. I often have my girlfriends over to watch a movie, I think I'll try these next time. I love sugar in the raw, but I bake a lot for my husband's mom, who is diabetic. Stevia in the raw would be perfect for me to bake with or use in sweet tea. I honestly have never watch the Bachelorette. Many of my friends do though and I hear them talking about it. I think I might have to join them with this drink. My sister in law is a huge bachelorette fan! I am going to have to pass all of these ideas on to her! Well that certainly catches my attention, a drink with a Popsicle inside it. I'd love to try this while hanging out with my girls. I don't have cable anymore so no more watching bachelorette. But I would still love to drink this punch! I would love to be at this party. You really outdid yourself! This is how you throw a party. The decorations and food are perfect! This sounds like such a fun girls night! And those drinks look fabulous! I could totally do this by myself too while I'm catching up on Hulu! The punch recipe sounds fantastic, I can't wait to try it. These look so good! I'll have to try these. They'll be perfect for the summer time heat as a cool treat.